We will continue to debate for some time if HTML5 will end up replacing apps developed for each of the varoius platforms into a single option for developers. Time will tell if an HTML5 design can work as well as the custom apps, free the developers up to focus on a single platform and perhaps allow them to keep more of the proceeds of their work. Until then, it’s all about the apps. With new companies emerging every day to feed our APPetite (had to – sorry) and with an estimated half million jobs as a direct result created already, the APP business and it’s related impact is growing at an impresive rate. In addition, apps have changed the way we do many things, bringing a number of improvements to our everyday lives. 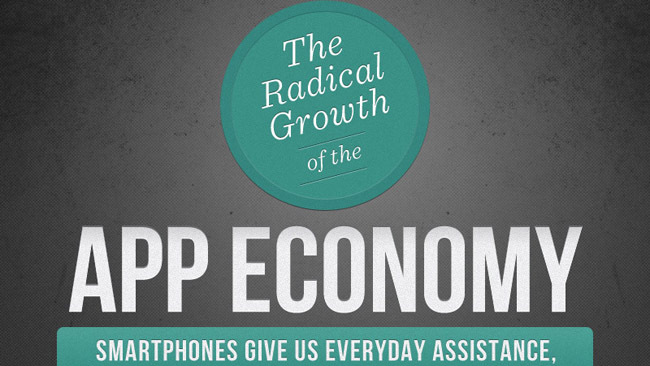 This app economy doesn’t know a thing about recessions, quite the contrary – it’s booming. Just how much – you’re about to find out from the infographic below – thank you to Frugal Dad.